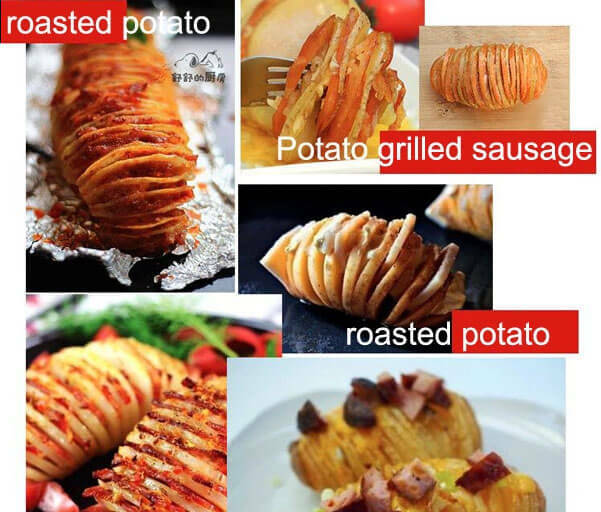 Twist potatoes are very popular because of their special taste and pleasant color, thus being a hot sale all over the world. 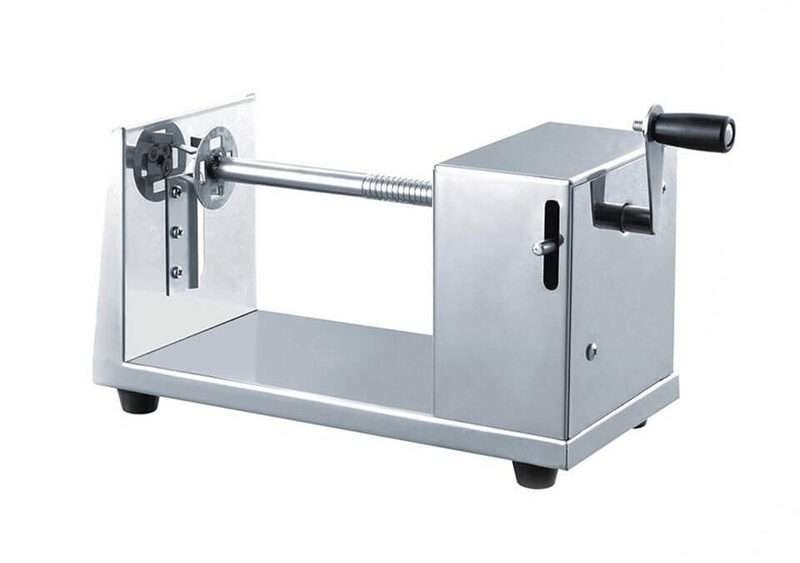 Our potato twist cutting machine is specialized in making twist potato with good taste and novel shape. Many Clients has made high profits within a short time with a little investment. It is quite popular with those who want to start their own business with low risk. 1. Slicing disco blade: the prise angle and space between the slicing blade make it efficiency and labor saving. Twist Potato is originated from South Korea. It is simply a potato that has been cut, using a specially designed twist potato cutter, in such a way that it twists around a stick. Then it will be fried and sprinkled with flavorings like cheese, chili, BBQ, and onion. This magic process transforms an ordinary potato into a unique and interesting snack that is extremely popular. Twist potatoes are also named as spiral potato, tornado potato, and spring potato. Are you looking for a business with very low costs and limited risks with high profits? Our spiral potato cutter makes it available for new small business ventures or as an addition to your current business. All you need is a twist potato cutter and a mobile food cart( food kiosk). You can set business locations in crowded public places with a large number of fluid people such as business street, office building, shopping malls, night markets, school events and selected exhibitions, etc.